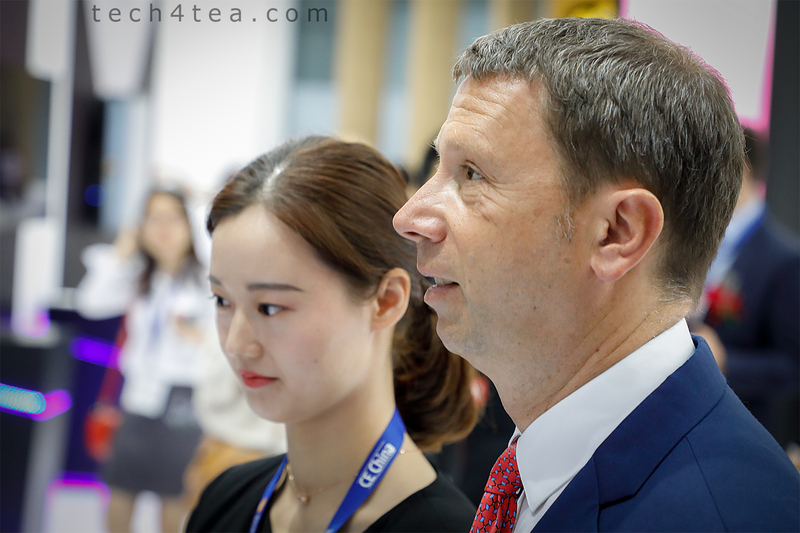 CE China 2018 – Interview with Jens Heithecker & Dirk Koslowski « Tech bytes for tea? Jens Heithecker is the Chairman of CE China, IFA Executive Director and Executive Vice President Messe Berlin; while Dirk Koslowski is the IFA Senior Executive Manager at Messe Berlin. Jens Heithecker is the Chairman of CE China, IFA Executive Director and Executive Vice President Messe Berlin. Here are some thoughts from the men behind CE China 2018. Question: In 2017, you had 120 exhibitors showcasing their innovations to 11,500 visitors from 38 countries, within one exhibition hall with 15,000 square metres of exhibition space. This year, the scale is similar. I understand CE China focuses more on quality and focus rather than on size, but in terms of future evolution, is this the ‘steady-state’ size of the show that you’re looking at for the next five years, or are you planning to scale it up in terms of size. Koslowski: That’s correct. Anyone who has experienced CE China since its premiere in 2016 has witnessed the level of quality that the organisers of IFA pursue with our international retail events. It continues to be our objective to provide all our partners with the most efficient and effective platform for the continuous exchange between brands and retail, outside of political intentions and issues, purely focused on the core purpose of doing business. 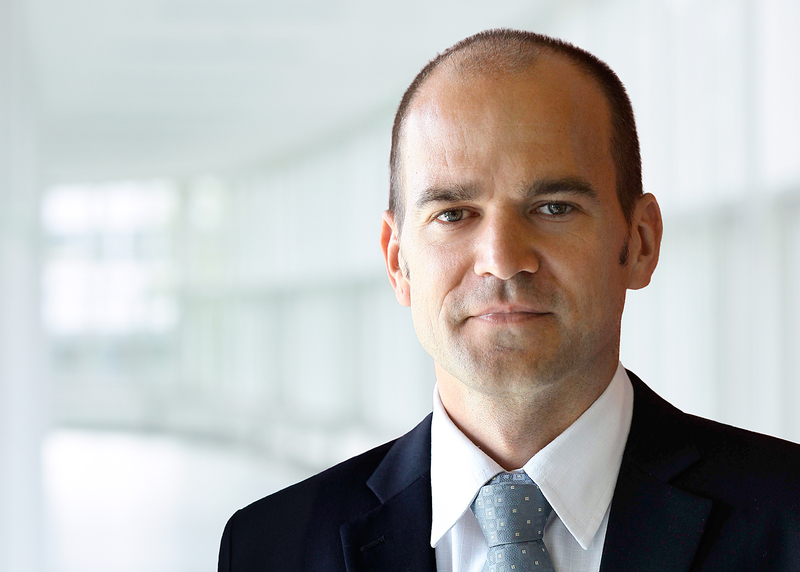 Dirk Koslowski is the IFA Senior Executive Manager at Messe Berlin. Koslowski: This does not necessarily go hand in hand with huge growth spikes in exhibition space, especially during the introductory phase. What matters more to us is a consistent, credible qualitative development that is based on partnerships – just like outlined above. We may be acting very German in this regard – however, that is exactly what we aspire to and what our partners expect from us. Jens Heithecker on the roles and significance of CE China 2018. Question: How do you envisage CE China 5 years from now, in 2023 – in terms of scale and nature? What is your vision for CE China in that timeframe? “Firstly, CE China provides all exhibitors with direct access to offline and online distribution channels as well as high media attention within China. Secondly, consumer electronics and home appliances companies get the opportunity to present their brands, innovations and products at the show in a uniquely efficient way in order to point to the added value for retailers and the individual benefits for consumers – across all of Asia. To have a trusted, high-quality distribution of branded products, it requires continuous and intensive support from manufacturers. This is also true for the pan-Asian market. Experience shows that this involves far more than putting a price tag on an online platform. CE China, equipped with the know-how and the expertise of the IFA team in Berlin, can provide substantial support in this regard,” Dirk Koslowski on the roles and significance of CE China. Koslowski: China is the largest single market and therefore continues to be of major importance to international brands. Along with this, strong connections and well established business relationships between brands and Chinese retailers are key. CE China has the ambition to be seen as the most efficient and business-oriented platform for technical consumer goods, bringing all relevant market actors together to drive their businesses. We are confident that CE China will grow with this development. What this means in specific figures, only time can tell. That much we learned from nearly 100 years of running IFA in Berlin. Question: What is the overall vision for Messe Berlin in the global arena? Are you planning more shows in venues other than Shenzhen? Koslowski: Messe Berlin is already running four other trade shows in Shanghai, Hong Kong and Singapore and will continue to seize business opportunities outside of Germany. On a global scale, IFA is expanding its role in the US market. We partnered up with our new joint venture partner NAPCO Media. Together we will foster the role of the already established CE Week to bring a new quality to the relationship between technology brands and US retailers, running next month (June 20-21) at the Jacob Javits Center in NYC, U.S.A.
Jens Heithecker shares his vision for CE China in the next five years. This entry was posted on Friday, May 4th, 2018 at 11:00 pm and is filed under Appliances, Brief, Events, events, Exhibition, Gadgets, Interview, Interview, Opinion, Shenzhen 2018. You can follow any responses to this entry through the RSS 2.0 feed. You can leave a response, or trackback from your own site.